It’s getting to that time of year again when award ceremonies pit the best of everything over the past months against each other to decide just what was the best of any given category. 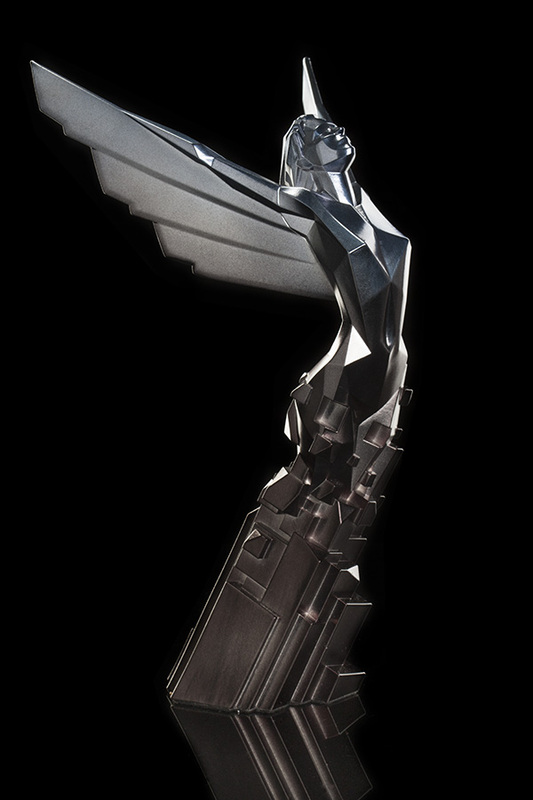 The Game Awards, held on December 3rd, is the biggest award show in video games this year. I will be running through the nominations and offering my thoughts on who will come out on top. 2015 has been a good year for games. This is even more apparent after the abysmal offerings of 2014. Any game in this category would have won Game of the Year last year hands down. So let’s have a look. Let’s address the elephant in the room. We have a list of gritty, single player narrative driven games in the RPG genre… and then we have Super Mario Maker. It doesn’t really fit in, does it? That’s not to say that it is a bad game but I doubt how well a map making tool will stand up alongside such expansive and detailed competitors. I’d say it’s safe to rule SMM out of this category. Bloodborne was a great game but does not have as much of a big impact or player base as the other competitors. Metal Gear Solid has tight mechanics and fun gameplay but a disappointing story. I think the real competition is going to be between Fallout 4 and The Witcher 3. Both games are awesome but for me, The Witcher 3 edges out Fallout in every way. I predict, (and massively hope), that The Witcher 3: Wild Hunt will take the Game of the Year. This category directly mirrors the Game of the Year for its nominations. The order is a little different to how I rated Game of the Year though. Nintendo actually had an eventful year. The company lost its President and the entire gaming community came together to honour Iwatta’s life. They also have raised a lot of hype from their Nintendo Directs and have released several solid games like Super Mario Maker and Splatoon. Kojima Productions on the other hand has had a very rough year due to everything that has being going on with Konami and Kojima himself. Their company was rebranded and Metal Gear Solid V’s launch and reception were not as smooth as it could have been as a result of this. Fromsoftware kind of disappeared from sight after Bloodborne’s release. Everything went as planned, without controversy but also without fanfare and over-achievement. Bethesda though went above and beyond with its E3 press conference where they launched Fallout Shelter and announced Fallout 4 for release the same year. For me though, for the same reasons that I feel Witcher 3 is the Game of the Year, CD Projekt Red takes the biscuit. The developers are very close with their community, created a wonderful game, a great DLC and have provided continuous support in patching and improving the game. There was also the little stunt of releasing 16 free bits of small DLC which really set the tone for how they were moving forward with the game. They have gone above and beyond in an industry that increasingly sees publishers push games out in an unfinished state and never touch it again. There is a lot of variety in this category. Sci-Fi, fantasy, sport and murder mystery, all with drastically different gameplay mechanics and styles. I am not as knowledgeable about indie games so I only have vague impressions of some of these. Going to be honest, never even heard of Axiom Verge. I’ve just looked it up and it looks like a solid, fun, Metroidvania type game. From what I can see, it doesn’t do anything unique that would set it apart though. Her Story is an interesting concept that has split the gaming community. The gameplay consists of searching a database to watch videos and read text relating to a murder case as you try to decide if the woman in question is innocent or a killer. I’m afraid that the game doesn’t do anything for me but I won’t ignore that many people did enjoy it and found it to be refreshing. Still, I would not consider it as the best indie game to come out this year. Ori and the Blind Forest is Beautiful in its style and storytelling and is good in its gameplay but seems to lack force. I think that this category comes down between the two very different games of Rocket League and Undertale. Rocket League is a fun, addictive multiplayer football game played using cars. I don’t usually like ‘sports’ games but Rocket League is undeniably fun. It is chaotic, simple and has no greater depth than ‘hit the ball and have fun’. Undertale is the opposite to that in that it is a singleplayer, narrative driven RPG. Uniquely though, you can choose to resolve conflict with either combat or with words. You could complete the game without killing anything and this greatly changes almost everything about the game. Rocket League is my personal favourite on this list but I feel that Undertale will take the title. I have no issue with this at all. This is not a category that I care for too much so, for the sake of time, I will summarise. This will be between Fallout Shelter and Monster Hunter 4. For the fact that it is a more developed and expansive game I’ll give it to Monster Hunter. There are some really strong contenders here who each use narrative in a different way to create very different styles of games. Until Dawn is a horror movie in game form and follows a very conventional narrative that follows all of the horror tropes. Tales from the Borderlands is funny and well written and Her Story is almost nothing but narrative that needs to be strong in order to keep players interested in the game. The real battle though is between The Witcher 3 and Life is Strange. I personally prefer The Witcher 3 but I feel that Life is Strange will win the award. I can’t really judge this one adequately. I have not played all of these games and a soundtrack is something that has to be experienced and not read about or picked out from trailers. Out of what I have played though, the rustic music of The Witcher 3 wins. All of these guys and ladies are super talented. That said, in my mind there is a clear winner. I love Geralt’s voice but it is not nearly as memorable as the Joker. Mark Hamill is the Joker and has a very iconic performance that must be a real strain on the vocal cords. Add to that the Star Wars Episode VII hype and that this is Hamill’s last time as the Joker and I think that he will take the prize. Best performance: Mark Hamill as the Joker. Right. First up, Destiny: Taken King should not be on this list. It isn’t a new game but an expansion of an old game. Other than that, everything is as you would expect it to be. The grand clash between Halo and Call of Duty as each tries to become the other and the revival of the Star Wars Battlefront series just in time to reap the hype of the movie. And then we have Splatoon. A shooting game from Nintendo? It sounds weird but was actually very successful. It changed a stale genre enough to get a new crowd interested. It was the only shooting game this year that feels new so I’m going to go with it. Damn there are a lot of categories. Getting tired of typing. Out of all of the titles that are in this list, one stands out as the epitomy of this genre. A solid game that is punching above its weight. Rise of the Tomb Raider. Wow. This one is tough. Each of them has a very loyal and vocal fanbase. Like every other category that it is in, I would choose The Witcher 3 but I think that Fallout 4 will probably take this one. I’m not really a fan of fighting games. Never heard of the bottom two. Being the only one that I played, because of its anime art style and rock soundtrack, Guilty Gear is my vote for this. Taking this category at face value as a game that the whole family could enjoy, Lego Dimensions takes it. Everybody loves Lego and it has characters from a wide range of fandoms. This is Best Shooter with the addition of Rocket League. Really not sure on it though. I think that the jury might go for Halo 5. Two of these games really stand out to me for their art direction: Ori and the Blind Forest and Bloodborne. Ironically they are polar opposites with Ori being colourful and simple while Bloodborne is gothic and dark. I love the gritty detail and gothic architecture of Bloodborne more though. There we have it. Those are my predictions for The Game Awards 2015 winners. I’ll group them all together below and update it after the ceremony to see which I guessed right and wrong on. Agree with my predictions? Have your own guesses? Let me know in the comments.